・Takuma Hori, Takuma Shiga, Junichiro Shiomi, "Phonon transport analysis of silicon germanium alloys using molecular dynamics simulations", Journal of Applied Physics, 113, 203514 (2013). ・Sho Hida, Takuma Hori, Takuma Shiga, James Elliott, Junichiro Shiomi, "Thermal resistance and phonon scattering at the interface between carbon nanotube and amorphous olyethylene", International Journal of Heat and Mass Transfer, 67, 1024 (2013). ・Takuma Hori, Gang Chen, Junichiro Shiomi, "Thermal conductivity of bulk nanostructured lead telluride", Applied Physics Letters, 104, 021915 (2014). 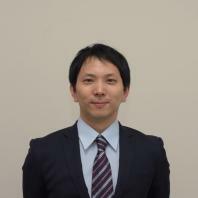 ・Yoshiaki Nakamura, Masayuki Isogawa, Tomohiro Ueda, Shuto Yamasaka, Hideki Matsui, Jun Kikkawa, Satoaki Ikeuchi, Takafumi Oyake, Takuma Hori, Junichiro Shiomi, Akira Sakai, "Anomalous reduction of thermal conductivity in coherent nanocrystal architecture for silicon thermoelectric material", Nano Energy, 12, 845 (2015). ・Takuma Hori, Junichiro Shiomi, Chris Dames, "Effective phonon mean free path in polycrystalline nanostructures", Applied Physics Letters, 106, 171901 (2015). 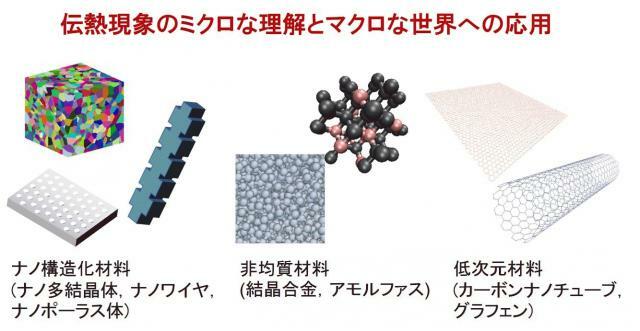 ・Masahiro Nomura, Yuta Kage, Junki Nakagawa, Takuma Hori, Jeremie Maire, Junichiro Shiomi, Dominik Moser, Oliver Paul, "Impeded thermal transport in Si multiscale hierarchical architectures with phononic crystal nanostructures", Physical Review B, 91, 205422 (2015). ・Junki Nakagawa, Yuta Kage, Takuma Hori, Junichiro Shiomi, Masahiro Nomura, "Crystal structure dependent thermal conductivity in two-dimensional phononic crystal nanostructures", Applied Physics Letters, 107, 023104 (2015). ・Anuj Arora, Takuma Hori, Takuma Shiga, Junichiro Shiomi, "Thermal rectification in restructured graphene with locally modulated temperature dependence of thermal conductivity", Physical Review B, 96, 165419 (2017). ・Takuma Hori, Takafumi Kamino, Yuta Yoshimoto, Shu Takagi, Ikuya Kinefuchi, "Mutual influence of molecular diffusions in gas and surface phases", Physical Review E, 97, 013101 (2018). ・Takuma Hori, Junichiro Shiomi, "Tuning phonon transport spectrum for better thermoelectric materials", Science and Technology of Advanced Materials, 20, 10, (2019).